Squash House Quilts: New Supreme Finish! The squash house garden never disappoints, nor do the "Supreme" reveals. You and Stephanie make a great team. I look forward to the pattern release. As always your garden looks beautiful . So this is what you have been working on ! LOVE IT !!! 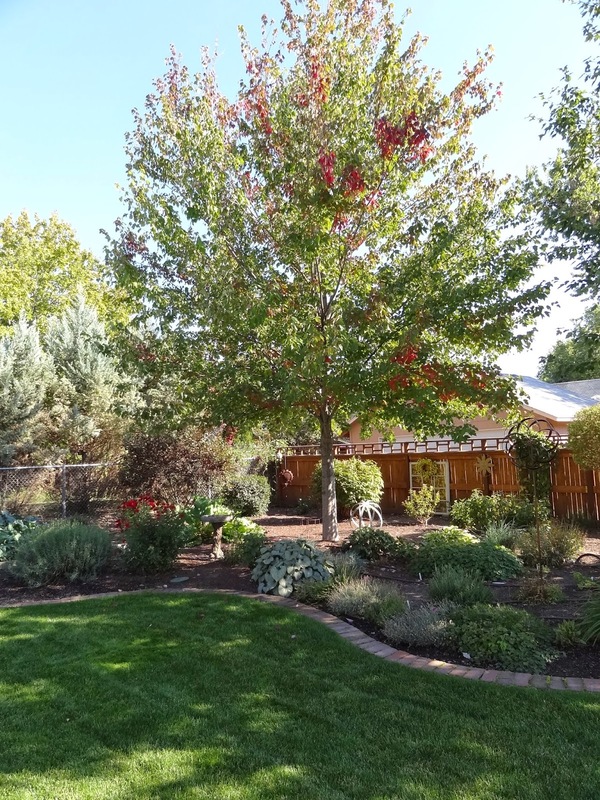 Great finish and beautiful garden. Your trees are going to look stunning in a few weeks. I hope you'll post some photos. Another fun quilt! I'm happy that fall is here - can you believe that one day our high temp was 48 degrees? That is a little too cold, too fast - but the rest of the days have been beautiful. As always, my thanks for your awesome talents. It's lovely. :o) I hope to see your beautiful trees in person, one day. I love the colors and the feel of the quilt and the clever pattern. Yes, it's all coming to an end, summer, that is. But blogging will go on in spite of all. I haven't been busy enough with it lately, either, since summer's end means lots of canning. Oh, I could blog canning.....and quilting.....and why I'm doing one and not the other......inspiration abounds! I love your quilt Candace, that block inside the log cabin block is so cool!! Your yard is gorgeous as always. I'm with you that I'm worn out of summer and summer clothes, time for sweaters and jeans!! Hugs. Wow! Candace, it is fabulous. 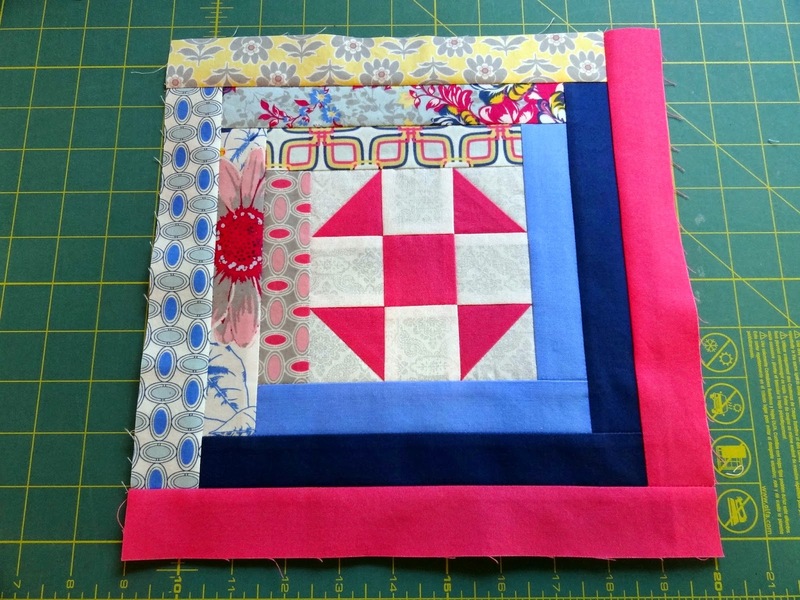 I really like how the log cabin strips look lacy from the photo looking about the quilt. Very pretty! Love it! Bright and cheerful and modern, but with that vintage feel for sure. Fall will be welcome--this is the hottest year on record for California and we are roasting in our non-airconditioned houses. Thank goodness there is AC at my job! Just right - Stephanie ha such great designs. Very nice quilt! And I LOVE your yard! Feeling a little jealous here. 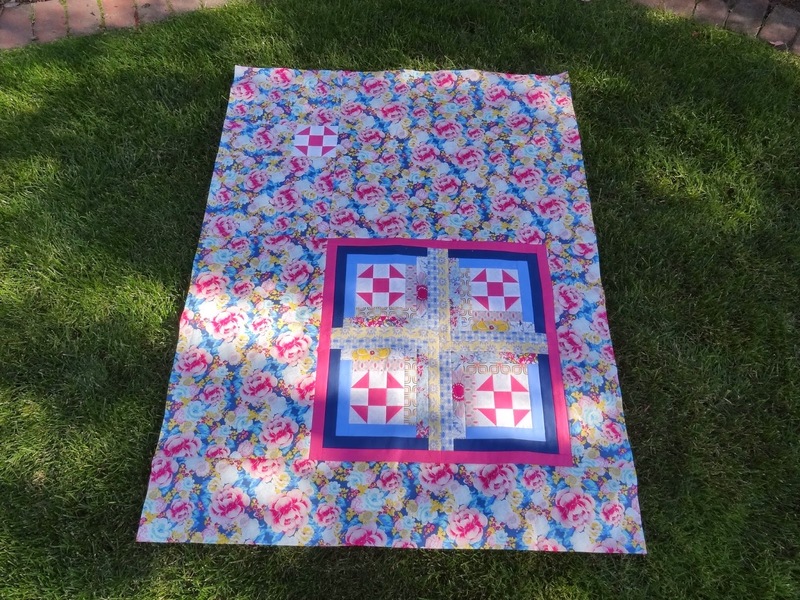 A very fun and cheerful quilt! Our leaves are starting to tease us with a bit of color change, too. It won't be long now before they get their golden and other autumn hues. So far have not had to light a fire, but not long until that happens too. I love your blog. I used to be a quilter. Love your work with quilts and your apple pie looks delicious. Thanks for stopping by. Will be back Candace. You did an awesome job on the quilt! So fun and fresh. Your yard is so enticing...beautiful!